Forget Microsoft's "mobile first, cloud first" strategy. It appears that the company is going against that vision by launching Windows 10 first for PCs this summer, with the operating system available to other devices in the months following. Microsoft Corporate VP Joe Belfiore of the Operating Systems Group described the rollout of Windows 10 as a "wave of benefit that starts in the summer and increases throughout the fall," noting that PCs will have access to the new operating system first, with staggered launches in the following months for phones, Xbox One, Arduino, and HoloLens. Additionally, after it was leaked that Windows 10 would arrive in July, the launch timeframe is now confirmed by Gizmodo. According to Belfiore, users may not get all the features of Windows 10 immediately at launch. It appears that Microsoft will launch the core operating system first and add features after the launch. Belfiore did not give specifics on the features that may not make the July launch window for Windows 10. 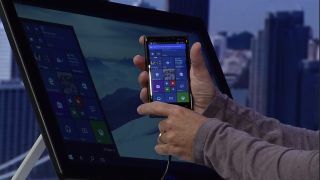 This isn't surprising given all the changes that Windows 10 will bring, including an updated user interface and Start menu experience, Universal apps, support for Continuum to switch between different screens and form factors, support for IoT and wearables, the addition of Cortana and a new Microsoft Edge browser. For those eager to get their hands on Windows 10, Microsoft is making the OS available in rough form in a Technical Preview. The Windows 10 Technical preview program has recently been renamed to Insider Preview to match the Windows Insider program. As this is preview software, bugs and glitches are likely part of the experience at this time for early adopters.